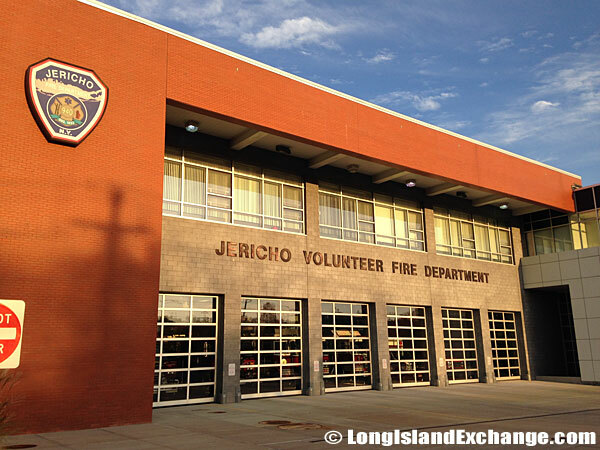 Jericho is a hamlet and census-designated place located in Nassau County, on the North Shore of Long Island, New York. It is in the Town of Oyster Bay. As of 2010 census, there were 13,567 people, 4,440 households and 3,785 families residing in the CDP. The median income for a household in the CDP was $152,143 and the median income for a family was $189,435. Males had a median income of $107,753 and just $58,060 for females. It is composed of four primary sections such as East Birchwood, West Birchwood, Oakwood/ Princeton Park, and White Birch. The latitude of Jericho is 40.791N. The longitude is -73.54W. It is in the Eastern Standard time zone. Elevation is 197 feet. A sign welcomes visitors and students to Jericho Public Schools. Jericho Volunteer Fire Department, North Broadway, on the east side of the road. 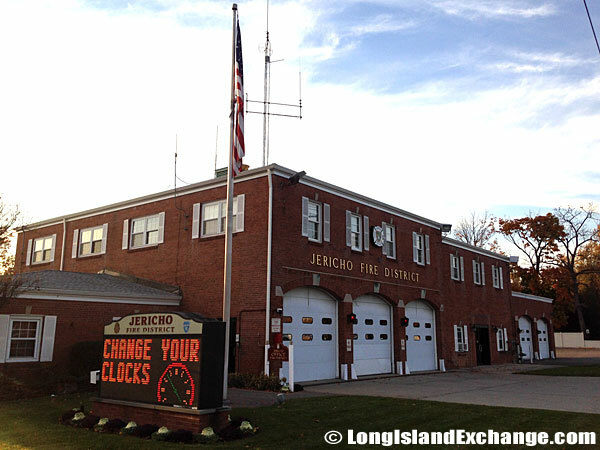 Jericho Volunteer Fire Department, North Broadway, on the west side of the road. The community was named after the biblical city. It had a large Quaker population in the 17th century and the influential preacher named Elias Hicks resided in the area. 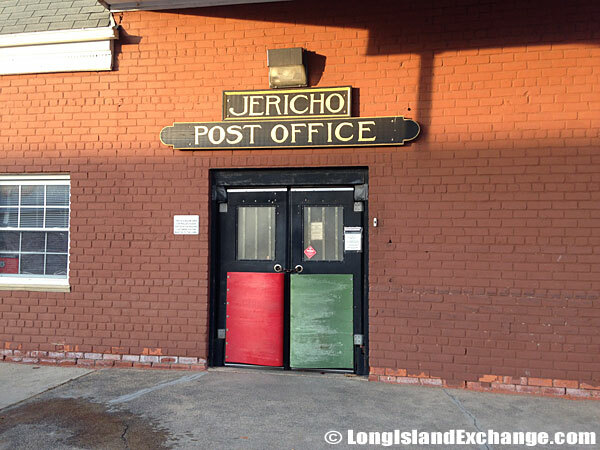 Major ancestry groups reported by Jericho residents include 15% Russian, 11% Italian, 10% Polish, and 7% Irish. There were also notable current and former residents of Jericho that include Jamie-Lynn Sigler on the HBO series “The Sopranos”. 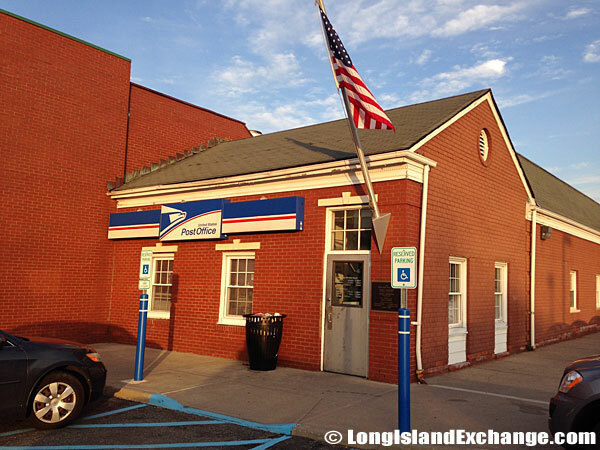 Post Office in Jericho, New York, inside the Jericho Commons Shopping Center. 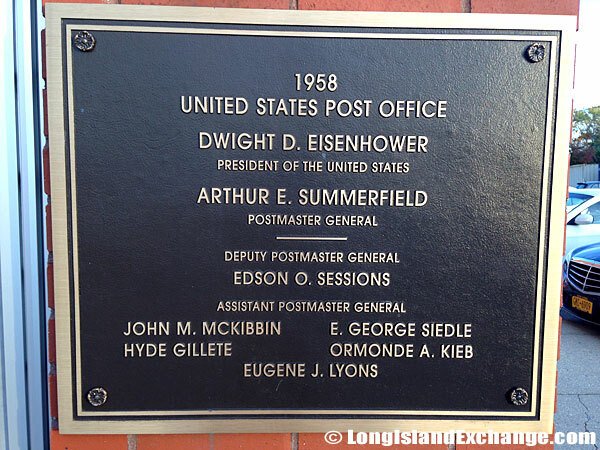 Rear entrance of the Post Office in Jericho, New York..
Commemorative Plaque outside the Post Office in Jericho. Jericho remained pretty much a quiet little town until 1953 and recently, the zoning laws are threatening, and condominiums are under planning for the rolling hills and ponds of the Underhill Estate. A Post Office for the Wicks Sod Farm site was overruled by the Civic Association and now two triple building office complexes are being constructed on that site. 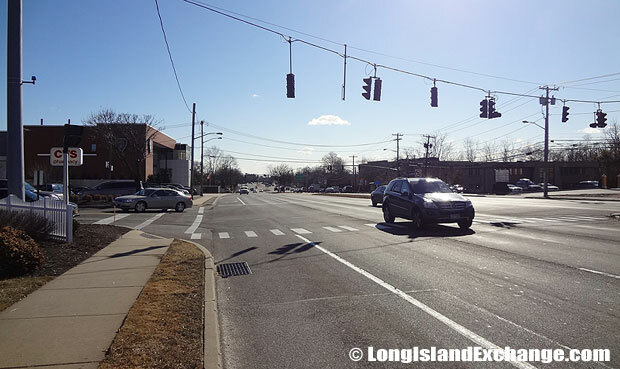 Across Jericho Turnpike, now a major speedway, seven office buildings are planned to rise up soon. The famous Lehman Estate on Jericho Turnpike met its end in 1977, when fire raged through and destroyed its large rooms. 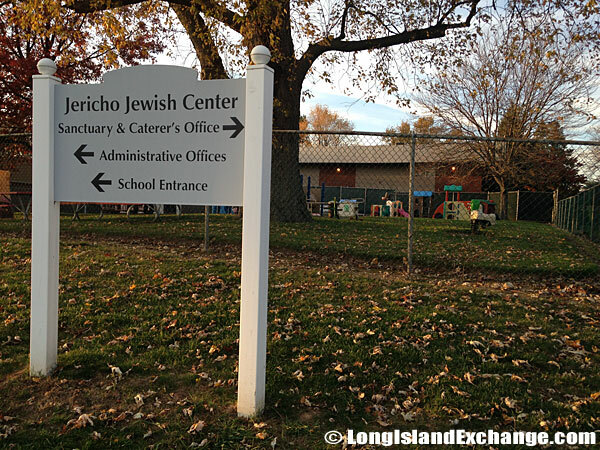 The Jericho Jewish Center, dedicated to furthering Jewish family values and the teachings of the Torah. A typical road in Jericho New York. 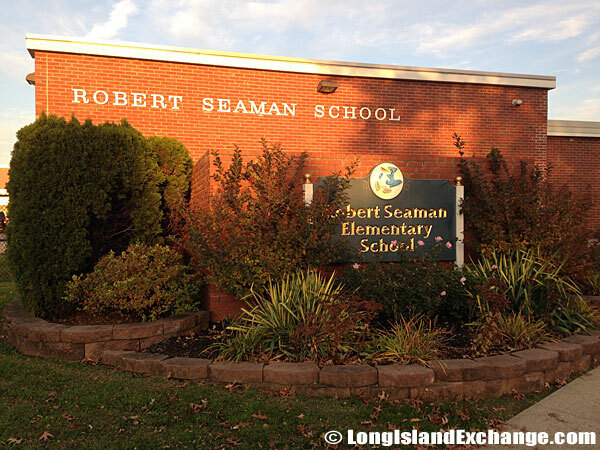 Robert Seaman Elementary School, Jericho School District. There are plenty of restaurants to dine at within Jericho. The Milleridge Inn and the Maine Maid Inn are popular in the area’s history. Houses are mostly split-levels, ranches and Colonials that ranges from $500,000-to-$1,600,000. There are also several condominium complexes with prices ranging from the $600,000s to $1 million+. 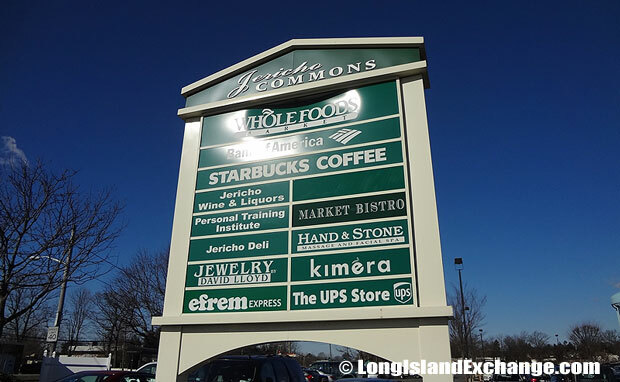 Jericho Commons Shopping Center at North Broadway and Market Street, Jericho, NY. Jericho Public Library on Merry Lane at the corner of Jericho Turnpike. 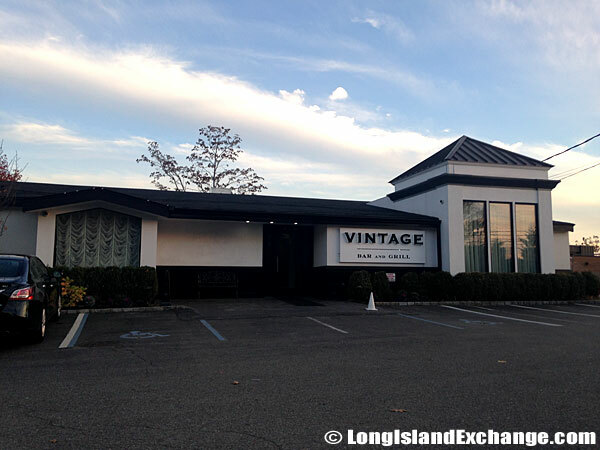 Vintage Prime Steak House Bar and Grill on Jericho Turnpike. 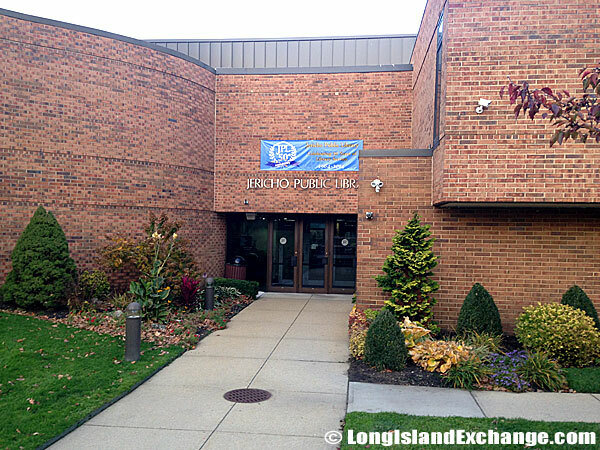 Jericho has a highly regarded school district and its proximity to major highways. The busy North Broadway provides easy access to major highways, shops and services. 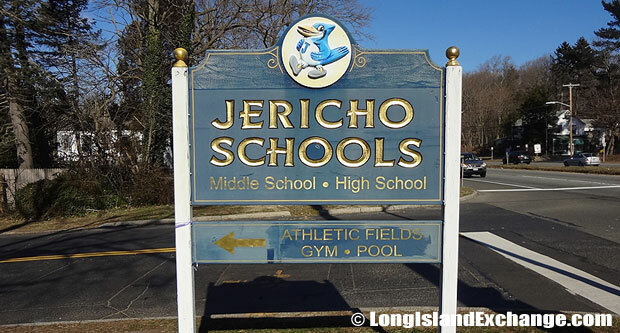 The Jericho Union Free School District is the only one primary school district in the community and other part of Jericho is served by the Syosset Central School District.